Why is there a credit scene at the end of my video? 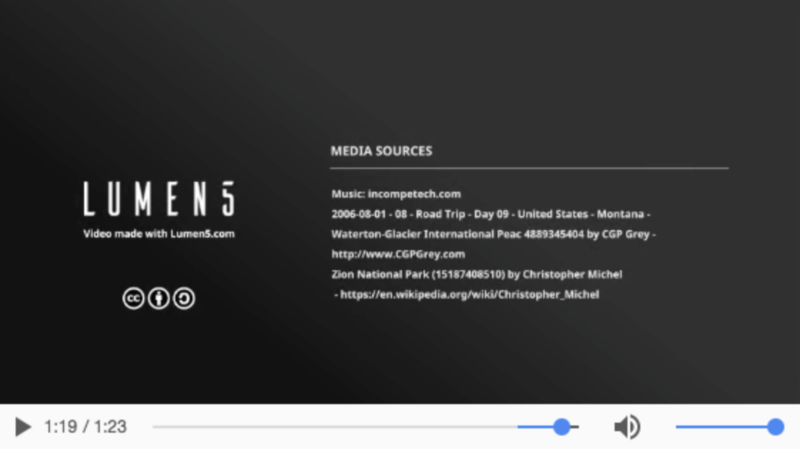 The Lumen5 media library consists of millions of free media files, but a small portion of them require the display of credits and attributions. To help you steer clear of copyright woes, Lumen5 automatically generates required attributions when necessary and displays them in a credit scene towards the end of your video. If you don't like the credit scene, you can disable it by choosing a different method for displaying credits.